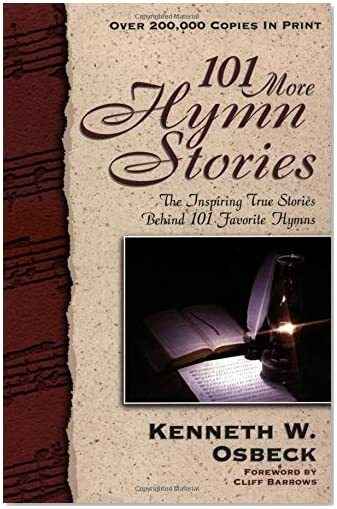 101 more hymn stories : by Osbeck, Kenneth W.
Remainder of title: the inspiring true stories behind 101 favorite hymns. Personal name: Osbeck, Kenneth W.
Statement of responsibility: Kenneth W. Osbeck ; foreword by Cliff Barrows. Bibliography or note: Bibliography: p. 322-324.